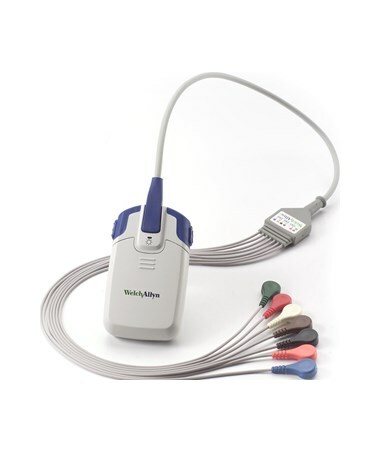 A Holter recorder, also known as an ambulatory electrocardiograph, is a tool used by physicians to acquire ECG rhythm abnormalities that do not occur only in office. 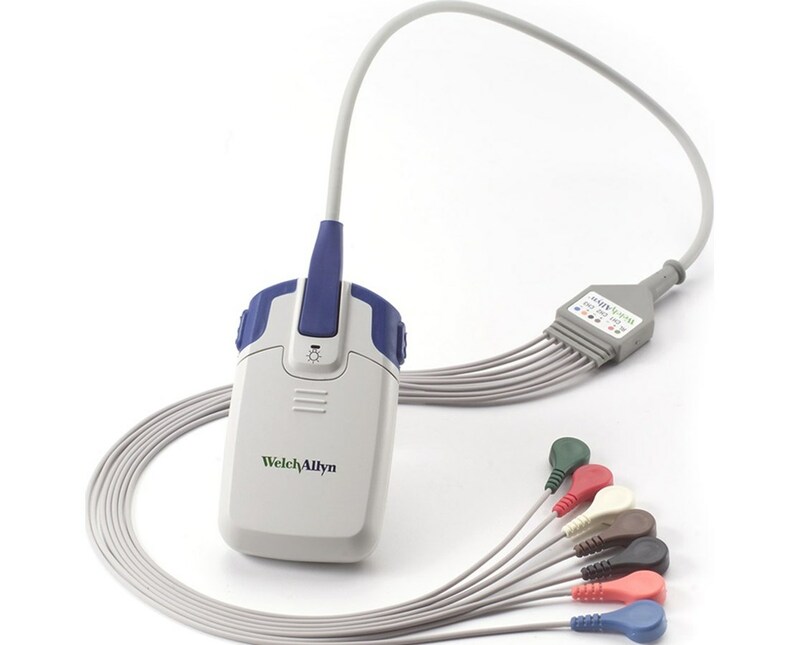 Welch Allyn's lightweight HR-100 Holter Recorder is a compact, easy-to-wear device intended for monitoring and diagnosing coronary problems in patients with shortness of breath, chest pain, arrhythmias, palpitations, cardiac medication, pacemakers, and family and/or personal history of heart disease, among other conditions. The HR-100 recorder is compatible with both Welch Allyn Office and Expert Holter software systems (sold separately; see related products to order) for comprehensive analysis of ECG data at the end of the monitoring period. It features 2- or 3-channel recording, 24-48 hours of recording time, pacer detection, and real-time wireless ECG data transfer via Bluetooth technology for verification of proper electrode placement and quality. Two patient-activated event buttons enable the patient to record events and times that he or she believes are significant. It provides feedback on a clear LED display window. The recorder includes a removable cable, carrying case and belt, and SD card for data storage and transfer. It is powered by one AA battery for easy, low-cost maintenance. The recorder includes a removable patient cable with a choice of 5-lead or 7-lead configuration. Select your preference from the drop-down menu in the upper right corner of this page, then click "add to cart" for hassle-free ordering at the lowest price! Dimensions 3.8" x 2.2" x 0.7"
Tiger Medical offers a 30 day return policy from date of shipment for the quick ship variations. Variations with a lead time of 2 - 3 Weeks are special ordered. We cannot accept any returns for a specially ordered product for any reason. Return shipping charges are the responsibility of the customer. The product must be in new condition and in its original packaging. We take the responsibility to make sure this product arrives in brand new working condition. Should your item arrive damaged, we will replace the product at no cost to you. Please review our complete policy.